My most memorable parties were not the extravagant affairs with grand cru wines and caviar canapés. Nor were they the celebrations with all the right people in chi-chi black outfits. Rather, they were the get-togethers where the host had invested thought into small touches for o ur pleasure. If you’re hosting a soiree, here are some entertaining tips that will help make your guests feel pampered. If you’re holding your event at a hotel or resort, the banquet manager can advise you of how much alcohol you’ll need, as can caterers or liquor store staff when you celebrate at home. Count on one drink per guest per hour, and up to two drinks per hour if guests are staying overnight or have prearranged transportation home. Some people tend to drink less at morning and afternoon receptions than they do during those in the evening, particularly during sit-down dinners. However, you will want to be conservative with your estimates so that you have an adequate supply rather than run short. 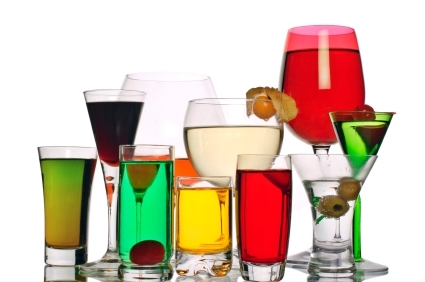 One alcoholic drink is equivalent to one bottle of beer, five ounces of wine or two ounces of hard liquor or liqueurs. However, there are some questions you should consider before stocking your bar. 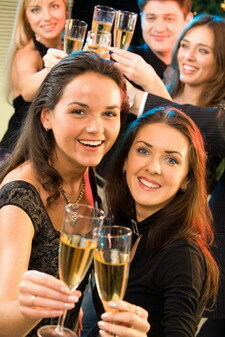 The type of celebration, the number of guests and your budget determine the ideal mix. Take into consideration the drink preferences of your guests: Are most likely to drink wine, spirits or non-alcoholic beverages? 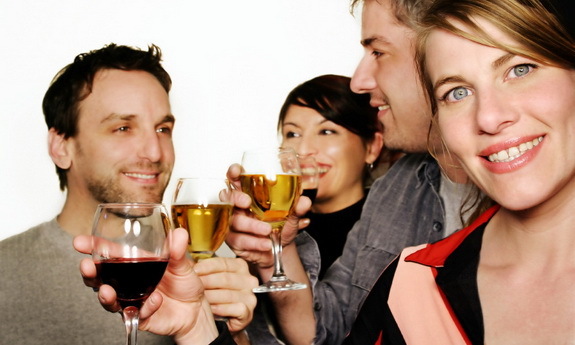 Older guests often prefer spirits while younger drinkers favour wine and spritzers. Even those drinking alcohol will want to pace themselves with some non-alcoholic beverages such as sparkling water and fruit juice. Offer a non-alcoholic punch and soft drinks as well as juice and milk for the children. The right drinks can personalize your celebration. If you are commemorating a holiday, such as your first married Christmas or Hanukkah, you can feature popular drinks from that year. Serving wines from one country or vintage can also give your party a more festive theme. At large gatherings, a magnum of wine is visually dramatic on the holiday table because at 1.5 litres they’re twice the size of the standard 750 ml bottle. Magnums also make a holiday toasts feel more communal with everyone taking a glass from the same bottle. Offering a fruit punch or mulled cider before the meal to mix with alcohol will cost less than a full bar and will stretch the alcohol further. At a party held at a resort or other rented space, ask if you can purchase your own wines and pay a corkage fee for the staff to open and serve the wine. It can cost less than if you had selected the resort’s offerings. With a full bar, please several generations at a time by offering such retro favourites as martinis, manhattans, cosmopolitans and sidecars. You’ll need the “speed rail” essentials, the most popular spirits that professional bartenders keep out front, which are gin, rum, rye, scotch and vodka. The standard 1.14 litre bottle of each will usually suffice, except for larger parties or those where the majority of guests are drinking spirits. Among these can be your “house pour,” the drink you offer to those who don’t have a preference. You will want to stock about twice as much of this drink as the others. With beer, stock an equal mix of domestic, imported and light. This cocktail combines two classics – the Negroni (Campari and sweet vermouth), and champagne. The champagne softens the Campari while allowing its character to come through; and the lemon twist brightens the drink and ties the flavors together. Pour the Campari and sweet vermouth into a mixing cup. Shake well, and strain into a chilled martini glass. Top with champagne. Flame a lemon twist for the garnish, unless you’ve already imbibed all of the cocktails above. This winter warmer dates back to a bartender who lived in nineteenth-century England, “Professor” Jerry Thomas. He refused to serve his comforting, ambrosial drink before the first snow. This party-sized recipe makes 24 drinks. For each drink, pour 2 tablespoons of batter in a thick ceramic mug; add 1 ½ oz of brandy and ½ oz of anejo rum; and top up with 3 oz boiling water. Dust with nutmeg. Allow one pound (500 g) of ice per person drinking for drinks and to fill coolers. Another reason to hire bartenders or caterers is that they will come with this equipment. Your reception facilities should also stock these items. For those drinking nonalcoholic beverages, count on two drinks per guest per hour, taking into account the drink preferences of your guests, including children. While you may be able to get slightly more than one drink per can or bottle if these are served in glasses, it is best to be conservative and count each as one drink. regular and diet. One can or bottle equals one drink.